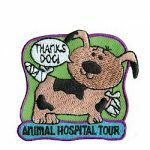 This 2″ iron-on embroidered patch is part of the patch program from MakingFriends®.com. Michele Lago, a program manager in The ASPCA Shelter Outreach department, helped us put together this patch program. Make sure to check first with your local shelter as they often have specific lists and items that are used. Shelters often get cluttered with donated items that are not needed. Call a local animal shelter to find out what they need. Organize a drive to collect the needed items. Consider making it a community event and get your friends and neighbors involved. Call a local animal shelter to find out what they need. Organize a drive to collect needed materials. 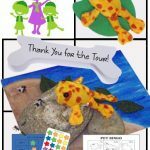 Consider a “making” event and invite other scouts to join you. Ramstein Troop 443 made pet toys for both the Homberg Tierheim and Paws Abroad as one part of the Bronze Award*. They also earned a Shelter Helper patch. Read the full blog here. Earn a shelter helper patch by helping wildlife! 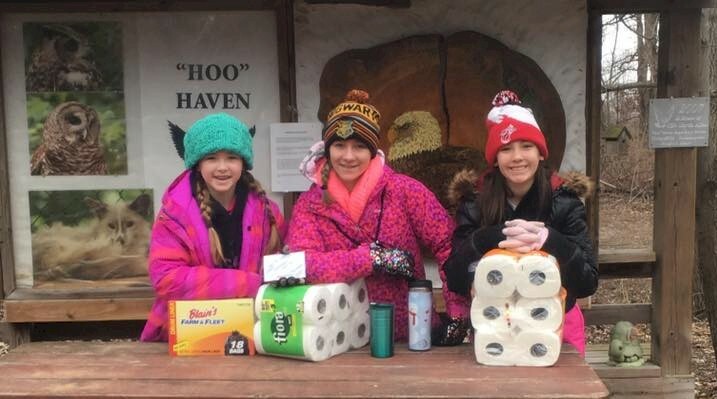 Troop 130 bringing donation to Hoo Haven, wildlife animal rehabilitation center. They also collected and donated food to the center, then stayed and Volunteers, cleaning areas, fed animals, did chores and anything asked to help the facility. 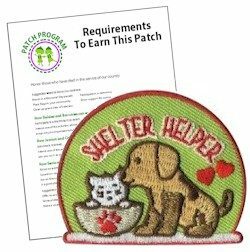 1 review for "Shelter Helper Patch Program"
Bought 4 for a Gs troop shelter drive. Super cute and prompt service!